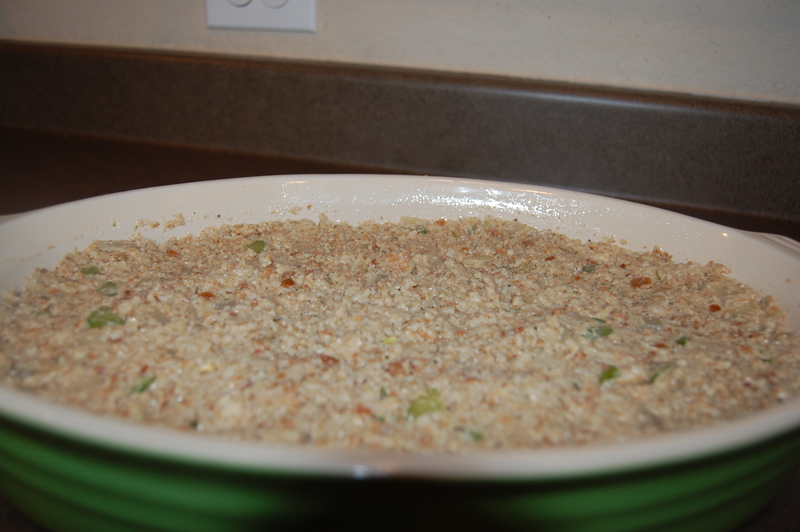 Growing up my mom always made cornbread dressing to go with Thanksgiving and Christmas dinner. After my wife and I were married and got to the point we really could not get home for those holidays with a large family, I got the recipe from my mother I began making it with my daughter helping me. This is the story and the recipe. This has been around for at least 4 generations in our family now. My mother learned it from my grandmother, and then pasted it to me and I am passing it to my daughter. This cornbread dressing is simple and has had some changes over the years as times and taste have changed. At points along the time line a few slices of white bread have been added and cream of celery soup has been substituted for cream. It all starts with good southern cornbread. Add the eggs and 1 cup of buttermilk and mix to a medium consistency, adding more buttermilk as necessary. Pour the batter into a cold 12’ cast iron skillet. Bake until a fork of knife comes out clean. One of the ways the dressing has changed over the years is the addition of white bread. The best I can determine this addition came after the end of world War II. 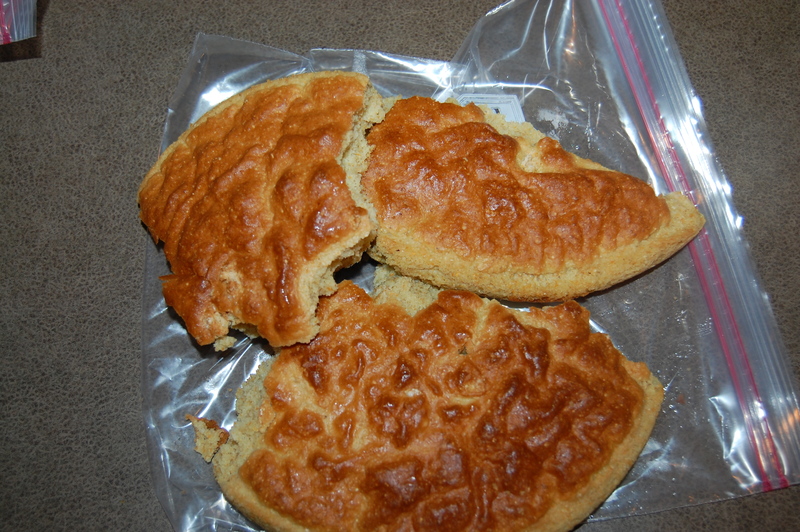 With the end of rationing wheat flour and thus white bread became more available and my Grandmother added that to the recipe. The cornbread makes up a majority of the dressing the white bread just makes it go further. 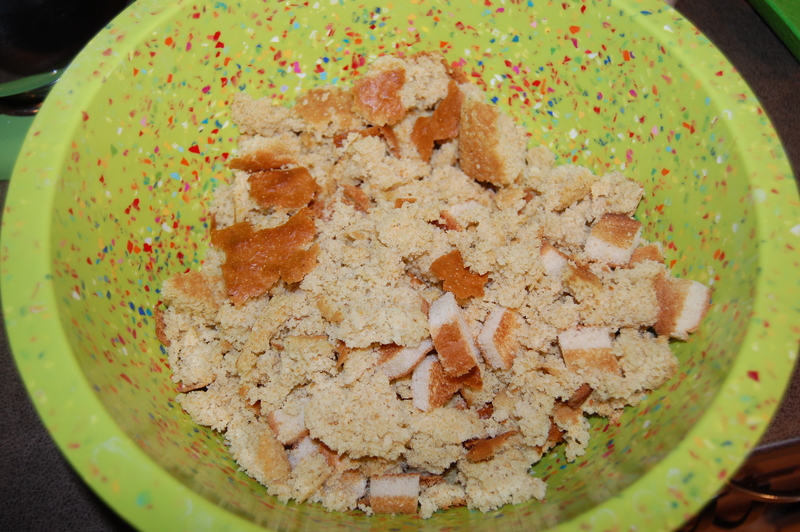 Begin by crumbling the toasted bread and cornbread together in a large mixing bowl. 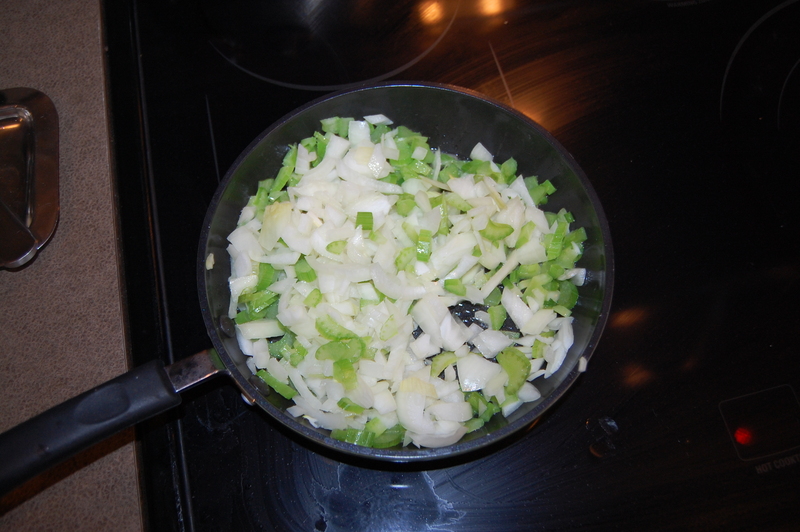 Sauté the celery and onion in a pan and when translucent, add to the mixing bowl mix together. 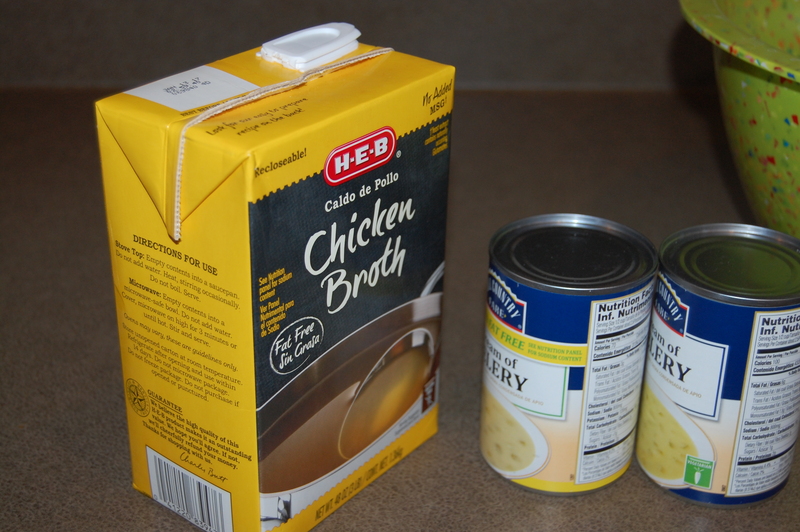 Then add the can of cream of celery soup and the chicken broth and mix until well combined. The final step is to add, salt, pepper and rubbed sage to taste. Bake in a 400 degree oven until browned on top and serve.